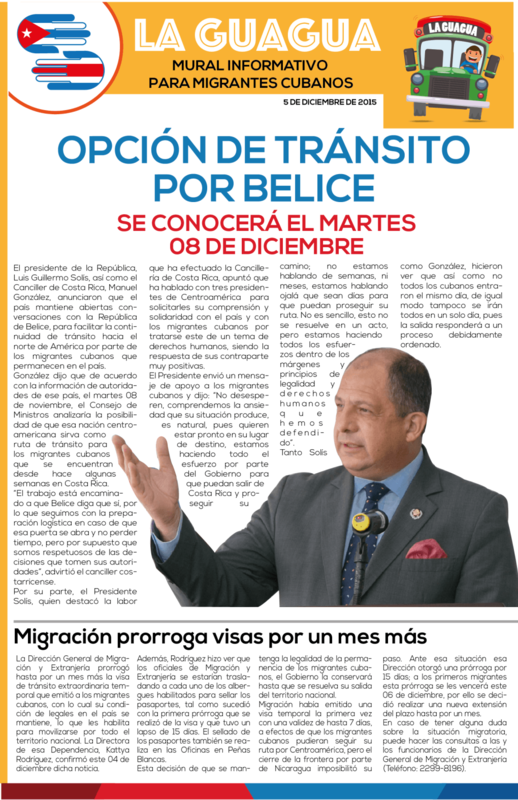 Home News Belize Refuses Passage To Cuban Migrants. Costa Rica Speaks Out Against Region. Belize Refuses Passage To Cuban Migrants. Costa Rica Speaks Out Against Region. 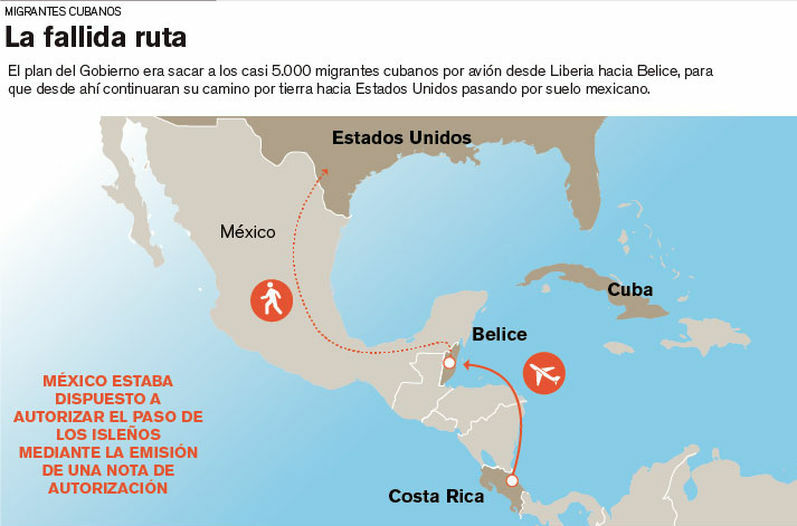 QCOSTARICA – Belize joined Nicaragua and Guatemala in denying passage through its territory of nearly 5,000 Cuban migrants, stranded in Costa Rica for almost a month. “They have decided that it is not possible to meet Costa Rica’s request on the grounds, they decided it is a regional problem and should be handled as such” said Foreign Minister Manuel Gonzalez. “At this juncture, the government of Belize is unable to make any commitments outside of a regional arrangement,” said a statement by Prime Minister Dean Barrow. “Without a doubt, this decision complicates significantly the situation of the migrants in Costa Rica and delays their exit from the country,” expressed a disappointed Gonzalez. According to Gonzalez, Mexico’s government is said to be ready to receive the Cuban migrants via a third country. President Enrique Peña Nieto has said that his government is committed to give permission to Cubans to move through its territory for a period of between 10 and 15 days. The refusal by Belize leaves Costa Rica without an alternative plan. 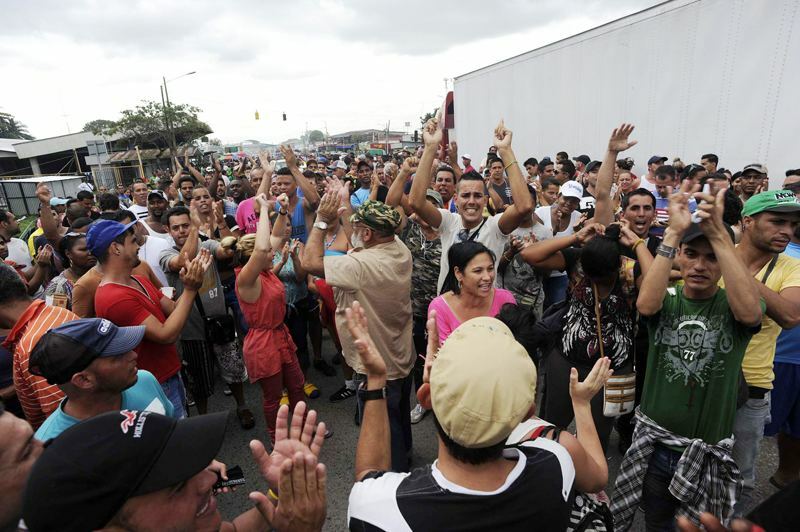 In the news bulletin “La Guagua” published by Casa Presidencial (Government House) especially for the Cuban migrants, President Luis Guillermo Solis, confirmed the immigration service decision to extend the Cubans their visa for another 30 days. 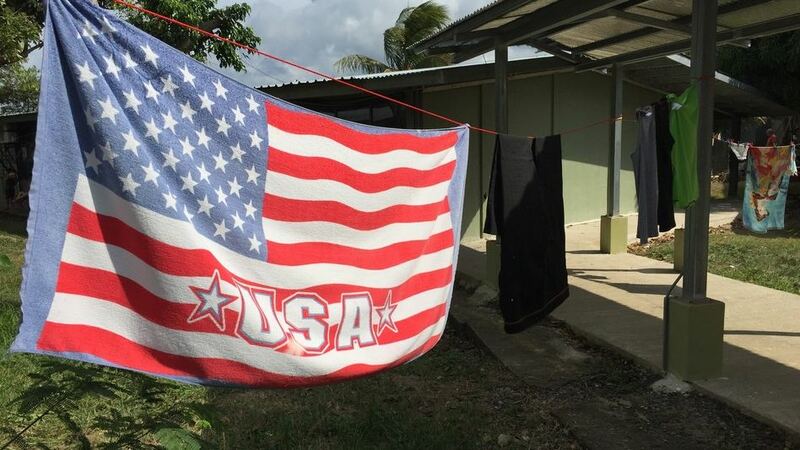 This will allow them to be in the country legally and move about through the country freely, according to the publication, adding that immigration officials have already begun the task of “stamping” passports of all the Cubans, visiting the shelters. Meanwhile the Foreign Minister has appealed to the Cubans who have not yet arrived in the country, to no do so, as they could cause “a real humanitarian crisis. Costa Rica currently has 26 shelters. Our capabilities are very limited and we will not be able to properly care for them. The migration must stop for the welfare of themselves and of those already in Costa Rica, ” said Gonzalez. Disappointed at the lack of support from the region, both President Soils and Minister Gonzalez question the attitude of Guatemala and Belize, expressing their sentiments to the Secretary General of SICA, Victoria Velasquez, Tuesday, during a meeting at Casa Presidencial (Government House). During the meeting Costa Rica criticized the SICA’s inaction in the region. “Here we have a clear situation where the (regional) system should work and they are not providing answers,” said the foreign minister. He added that it was time to rethink the purpose of SICA. Meanwhile, the Inter-American Commission on Human Rights (IACHR) expressed “deep concern” about migrants and considered his situation “extremely vulnerable”.